Sixteen distributors to present films and campaigns to exhibitors at London event in bid to increase film diversity. 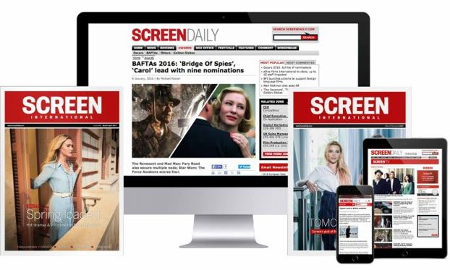 Sixteen UK distributors are set to meet with exhibitors and cinema executives for a day of strategy and collaboration. The ‘Distributor Slate Day’, hosted by Film Hub London and Film Hub South East - partners of the BFI Film Audience Network (BFI FAN) - will take place on September 22 with the aim of enhancing ties between the UK’s film distribution and exhibition sectors. Hosted at Picturehouse Central, sixteen distributors will present their upcoming slates to 250 exhibitors from the BFI FAN, including cinema operators, film festival organisers and film society members. The presentations will include previews of the distribution and marketing campaigns for upcoming films including London Film Fesitval (Oct 7-18) opener Suffragette as well as The Lobster, Green Room, Brooklyn and The Lady In The Van. Organisers are hoping the event will allow exhibitors and distributors to explore ways to collaborate on offering audiences a wider selection of titles. Distributors attending the event include 20th Century Fox, Altitude Film Distribution, BFI, Curzon Artificial Eye, Dartmouth Films, Dogwoof, eOne, Independent Cinema Office, Lionsgate, Metrodome, New Wave, Peccadillo Pictures, Picturehouse Entertainment, Soda Pictures, Sony and Verve.